Roman glass dangling earrings. Sterling silver. 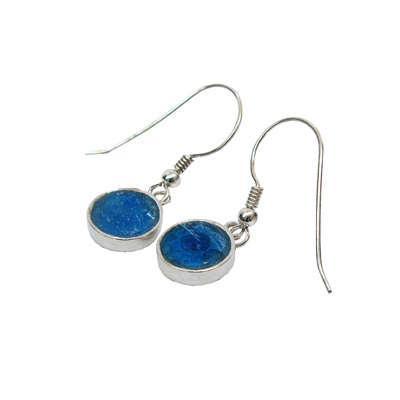 Adorable design in Roman glass 925 silver earrings with Ancient Roman glass .Beautiful Judaica Gift . Unique artist design earrings created with sterling silver and Ancient Roman glass . Two ancient symbols of Luck . Best Gift .